Love it or loathe it, Gutenberg is here to stay. As such, getting your WordPress themes and plugins to work with the new editor should be a primary concern. Truth be told, if youâ€™re only just thinking about this aspect now, youâ€™re cutting things pretty close. However, thereâ€™s still enough time to prepare your products, especially with some third-party help. Daniel Bachhuberâ€™s Gutenberg-related projects have been featured on the Torque blog previously, and this is another one that warrants attention. Tweaking your plugins to be compatible with Gutenberg could prove to be a tricky task, but the Gutenberg Migration Guide should help you make the switch. Itâ€™s a handy reference guide for comparing customization points between WordPressâ€™ classic editor and Gutenberg. In this post, weâ€™ll look at the project as a whole and discuss how it works. Then weâ€™ll talk about how to make sure your plugins and themes are Gutenberg-ready. Letâ€™s get started! Weâ€™ve talked about Gutenbergâ€™s history on the Torque blog a lot, so we wonâ€™t go into too much detail here. 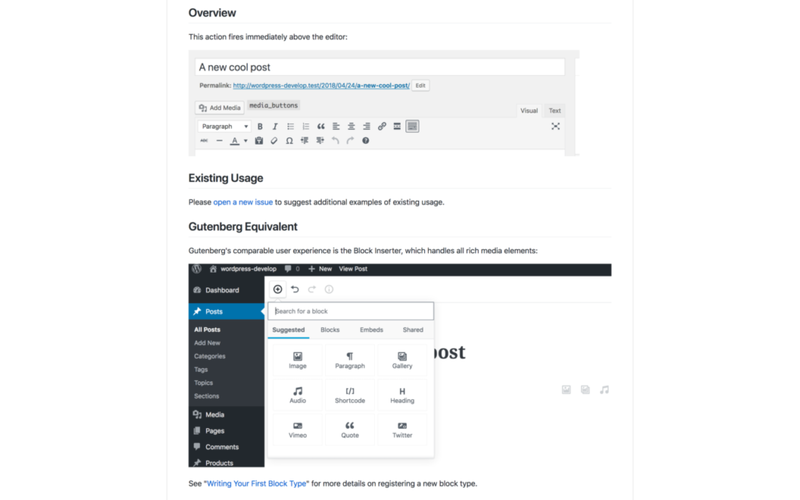 However, to offer some background context, Gutenberg is eventually going to be WordPressâ€™ new default editor. It will be replacing the TinyMCE version that is currently in place. While Gutenberg is now out of beta, weâ€™re still waiting for the plugin to be merged into the core platform. However, despite the sound reasoning behind Gutenbergâ€™s functionality, many have been left unimpressed by the lack of polish in the editor so far. This assessment may be somewhat harsh, considering the projectâ€™s current status. 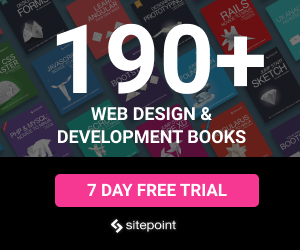 In any case, the high level of criticism has resulted in a lack of movement from many WordPress developers, especially when it comes to getting their products up to standard. The fact that weâ€™re finally seeing Gutenberg-related features appearing in commercial themes should bring the situation into perspective. In other words, some developers have been working on their Gutenberg solutions for a while. Now, theyâ€™re now beginning to offer them to the public. If youâ€™ve not yet begun to do the same, youâ€™ll likely need some help getting started. Fortunately, thereâ€™s a great initiative that offers just that. Having some support while migrating your functionality over to Gutenberg is likely going to be welcome to many developers. 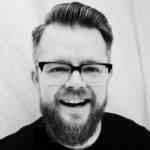 For that reason, Daniel Bachhuber â€“ who has become a focal point for Gutenberg-related initiatives of late â€“ has created the Gutenberg Migration Guide. This is a resource to help developers port their TinyMCE-centric plugins and themes to the new editor. It includes plenty of screenshots, and handy references to the Gutenberg Developerâ€™s Handbook. You can think of it as Gutenbergâ€™s own â€˜Codexâ€™, although itâ€™s not classed as an official part of the WordPress Codex. This guide also includes a brief overview listing every TinyMCE editor customization point with a Gutenberg equivalent. Plus, it covers all impacted hooks and classic editor features. This will obviously be a vital go-to resource when youâ€™re trying to find solutions for porting functionality over to Gutenberg. Therefore, especially given the high value of the project, more contributors are required to help fill out the guide. To begin contributing, you can simply send a pull request as usual, which will then be approved and merged into the guide proper. You can also suggest a new hook (or ask a question) by opening a GitHub issue. Youâ€™ll find a reference to the relevant TinyMCE editor action or filter at the top of each page, and then a generic example of where itâ€™s used within WordPress. Next, youâ€™ll find real-world examples of how the hook is used. This is one area where the project needs more contributions. There are many plugins that will add their own functionality to the editor, which need to be documented. Below that, youâ€™ll find a screenshot of the equivalent hook within Gutenberg. This will be accompanied by a brief explanation of where you can find that hook, along with any esoteric information regarding its use. Finally, thereâ€™s a handy reference to the Gutenberg Developerâ€™s Handbook, to help you along if you require more information. Overall, this is a very useful reference guide for Gutenberg developers, and should be bookmarked while youâ€™re going through the migration process. In our opinion, the first parts you should check out are the aspects that havenâ€™t yet made the switch to Gutenberg. For example, there are a number of edit_form actions that are no longer compatible within Gutenberg. Depending on your theme or pluginâ€™s functionality, this could require a comprehensive workaround. Finally, two other classic editor features that havenâ€™t been incorporated into Gutenberg are the Screen Options tab and the unofficial Custom Post Status feature. The former is likely to be more concerning for many developers, as that was a â€˜powerâ€™ feature a lot of WordPress users found helpful. Making sure your themes and plugins can adapt to both editors despite these changes is absolutely vital. As youâ€™ve seen, the Gutenberg Migration Guide is what will get you there. Gutenberg has its detractors, but each beta update is bringing more to the party. The new editor is slowly becoming a powerful method for creating WordPress layouts, which is great news for both end users and developers. 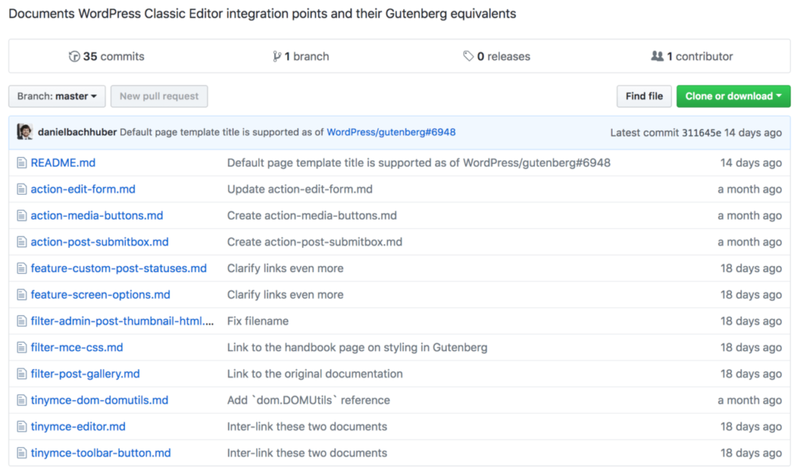 Whatâ€™s more, the Gutenberg Migration Guide from Daniel Bachhuber can be an excellent resource for those needing to adapt their own projects quickly. Itâ€™s incredibly simple to use as-is, but still needs assistance from the WordPress community to reach its full potential. To help out, you can send a pull request, open a GitHub issue, or even offer your own real-world examples of Gutenberg equivalents to the TinyMCE editorâ€™s functionality.